Some Texans have decided that it’s time for a changing of the guard in which food represents its state. As of this publication, the recognized state dish is chili con carne. (If you’re wondering, the jalapeño is the state pepper, the state cobbler is peach, and the state fruit is the Texas red grapefruit.) Many both in and out of Texas would argue for the merits of barbeque as an immediately recognizable state culinary touchstone as well (to be more specific: barbecue of the beef brisket and smoked sausage variety). 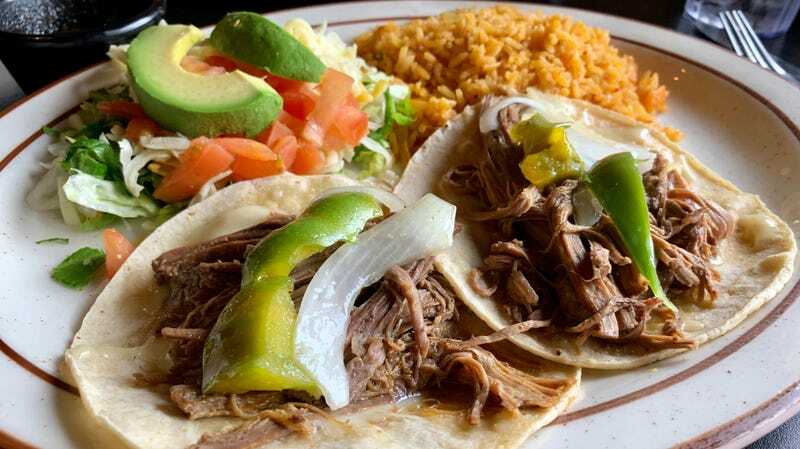 Now, according to the Houston Chronicle, a growing number of residents are pushing to have the taco officially recognized as a pillar of state culture. ﻿They help small business owners put their kids through school and strengthen our economy. They start many people’s days with a full stomach, nourished, ready to face the day and help make Texas the best place to live in the world. Texas is a big state, and when it comes to food, big-tent. Houston is fast being discovered as one of America’s great dining cities. Austin is an unexpected hub for great Japanese food. Daniel Vaughn, quoted above, is the freakin’ barbecue editor! (The Texas Monthly vertical he runs is an auto-bookmark.) And Whataburger ketchup! Is it even possible to come to a consensus of one defining Texas dish? Texan Takeout commentariat: We’re all ears.